APPEARANCE: Looks solid black, but upon closer inspection there are some lovely chestnut highlights on the edges of the glass. NOSE: Super subtle nose. Cocoa powder, some lactose sweetness, and a faint aroma of raisins and prunes. TASTE: Nothing complicated. Just sweet and smooth, with mellow chocolate and roasted malt flavors taking center stage. A slightly sour, lactic tinge in the finish. DRINKABILITY: A look back at my review makes it sound like this is a fairly bland beer. I’ll admit it didn’t blow me away, but it’s exceptionally drinkable and as close to a session brew as you can get with a sweet, milk stout. I actually really liked it. 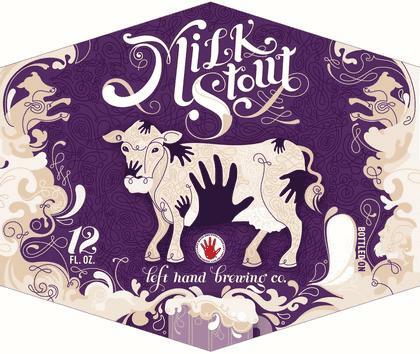 I think Left Hand did justice to the style and made a very well-crafted, if somewhat one-note brew. I should point out that having grown up on Guinness, I have a soft spot for straightforward stouts.